Acting classes can be tremendously beneficial to children. Children will learn important skills that can not only help them in an acting career, but it can also help them in their day to day life. Self-Esteem- During a child's early years of life, it is crucial for your child to recognize their importance. Self-esteem coupled with confidence will help your child face challenges that will occur throughout their life. Confidence will help ensure they are successful in school and have the ability to make friends, both of which will help the child be happy. Creativity- Acting classes help children be able to express themselves by increasing their creativity. Creativity can help improve a child's mental health and coping mechanisms, which can help build healthier and stronger relationships. Empathy- This important characteristic helps children understand how others feel. 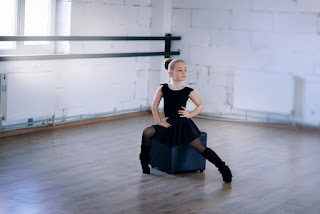 It is an important skill that acting classes can help the child develop. Communications and Social Skills- Acting class will help your child develop these two important skills. A child needs to learn how to effectively communicate both verbally and non-verbally. Communication skills involve both actively listening as well as speaking confidently. Reading Improvement- Acting involves a lot of reading. They have to learn to read their lines properly. Concentration- Concentration skills will help your child exceed in school work. This skill will be developed during acting classes. Memory- In order to act, a child must learn to memorize their lines. As they develop their memory, you will begin to see improvement in their grades. Discipline- In order to be successful at acting, a child must learn to develop self-control and professionalism. As you can see, acting classes offer numerous benefits. These benefits not only help the child become a better actor/actress, but it will also help them develop life skills that will help them throughout their life. If your child is interested in acting, consider enrolling them in acting classes. Soon, you will begin to see a difference in your child's demeanor, grades and happiness.